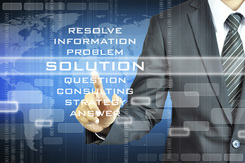 Are you looking for insight on how technology can be used to your competitive advantage? Trying to stay abreast of the latest trends and best practices in your industry? Want to know what works, when, and most importantly why? So do we. 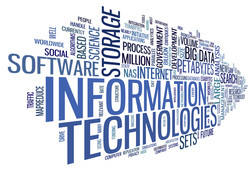 AITP is the Association of Information Technology Professionals, a society of leading IT business professionals. 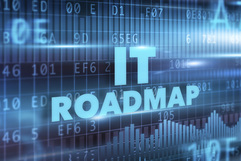 Our mission is to provide our members with the opportunities and resources necessary to develop and advance their IT careers. Our core values encompass integrity, respect, innovation and service. Additional information about AITP can be found at our national website. We strive to acquire great speakers on current topics that would benefit our members and guests. We meet once per month with our season starting in September and ending on the following June. Due to the Holidays, we do not meet in December. 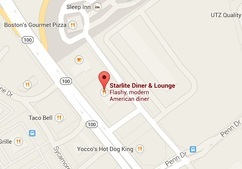 Our home base is located at the Starlight Diner, near the intersection of Route 78 and 100 South. To access our private meeting room, you can either enter the front door or the left side entrance of the restaurant. Depending on the venue, we also meet at Kutztown University, Lehigh Carbon Community College, Lehigh University, DeSales University or at one of our tour sites. Please see our Events for meeting locations and details. Please feel free to contact us for chapter and meeting information.